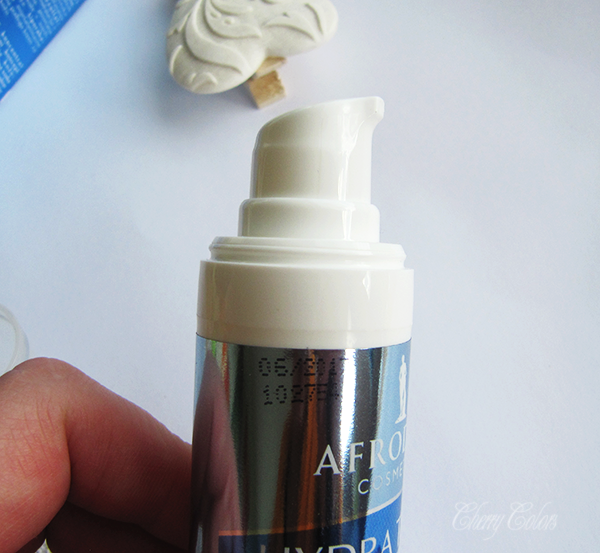 Review: Afrodita Hydra Thermal Serum - Cherry Colors - Cosmetics Heaven! 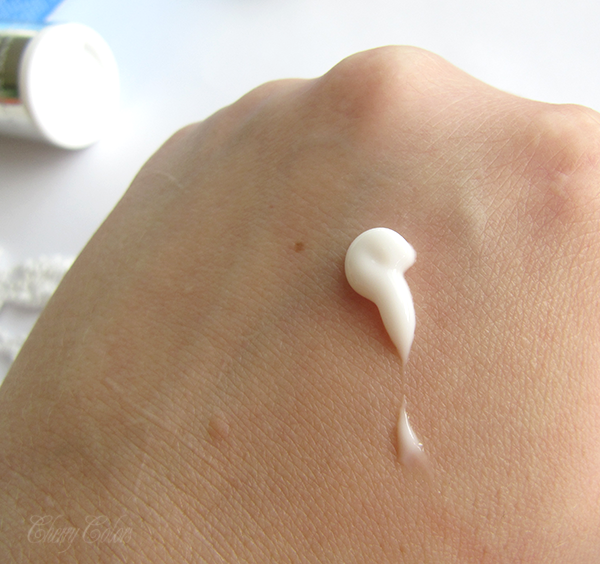 Today I have a very special post - a product that I included in my skincare. I've been using it for the past 4 weeks and I am finally ready to share my thoughts about it. 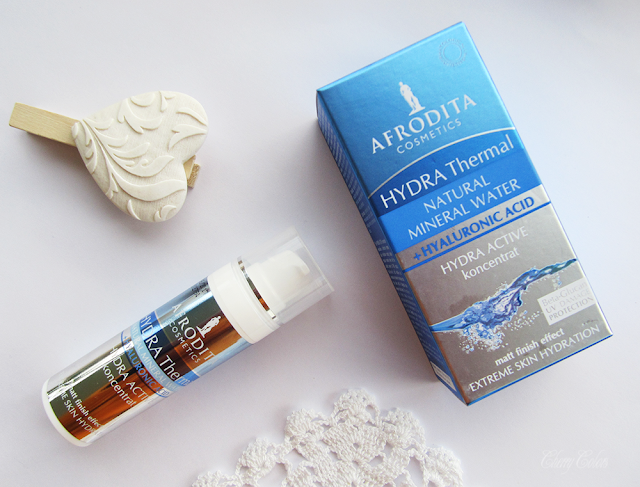 I am talking about the Afrodita HYDRA Thermal concentrate (serum). However, the cream/serum comes packaged in this plastic pot with a pump. That's a great plus for all the people concerned about the hygiene of "classic" packaging. It would be really cheap looking if it weren't for the reflective sticker. That's a nice touch. The packaging is sturdy and it would easily survive some traveling. The serum is this white, lightweight cream that spreads with ease and leaves a nice hydrated feeling on my skin. Sadly it is scented. So it may not be suitable for everyone, especially those people who are sensitive to fragrances. The scent is nice enough, it gives me a fresh vibe, somewhat between a clean and fresh one. It's really interesting. Luckily it disappears once on the skin. I bought this serum as a replacement for my beloved Vichy Aqualia Thermal serum. The Vichy serum contained silicones (of which I am not a huge fan), but because of the price mark I was looking for a cheaper alternative. Ana from Mad about Red suggested I give a try to the Afrodita line, especially this one. The price was ok (~9,5€/30ml) so I decided to try it out. Luckily that week was some sort of Afrotida sale because I got mine for about 7€. Woo! Okay, so my skin is mixed. Dry on some parts, oily on other. Mostly it's oily on the T-zone during Summer and normal on the T-zone/dry on other parts of my face, during Winter. I started using this serum as a barrier between my cleansing step and my daily cream. Sadly, my daily cream was perfect for Summer and not so much for the cold months. But the Afrodita serum did help with the dryness I was feeling on my skin because of the change of weather. I only find it weird how quickly I am using it up (I'm at the last drops now!) and the weird feeling that my skin is sweating after application if I stay in a humid room. So I suppose it won't be great for Summer. And yes, I usually do my night skin routine while I watch my child taking a bath. That's where the humidity comes from. Even if I'm not too excited about it (something about the scent and sweating when in humid 'weather), I do like the effect it has on my skin. I like that it doesn't break me out and on some days I can use it without a face cream. The texture is very lightweight and thus gets absorbed easily. Would I repurchase it? Probably yes, but I'm still on the lookout for the next best thing ;).